Leading contract hire, workshop and fleet management Company, Specialist Fleet Services Ltd (SFS), will be Exhibiting at this year’s PAWRS show on a wave of success having just been awarded possibly the UK’s largest-ever municipal vehicle hire contract. Recently SFS was chosen as the vehicle provider for Cory Environmental’s new contract with Cornwall Council for waste and recycling collections, beach and street cleansing. The contract is worth £14m and involves the provision of over 200 vehicles. A member of the Rothschild Group and operating for over 20 years, SFS is one of the most established and financially robust contract hire companies serving both local authorities and the private sector. Based in Northampton, SFS runs a network of workshops on behalf of local authorities, as well as its own facilities. From a mower to a van, a bus to a refuse vehicle, SFS has all the expertise to specify, source, maintain and dispose of various types of municipal vehicles, passenger transport equipment and plant. As well as contract hire and short-term hire vehicle provision, SFS offers the complete range of fleet management services. These include a dedicated Fleet Desk for technical queries and practical support, an extensive mobile engineer network, workshop management or provision, a fleet management system, servicing and maintenance, MOT and LOLER certification, Breakdown and Accident Recovery, Fuel Management, Staff Training and TUPE transfers. 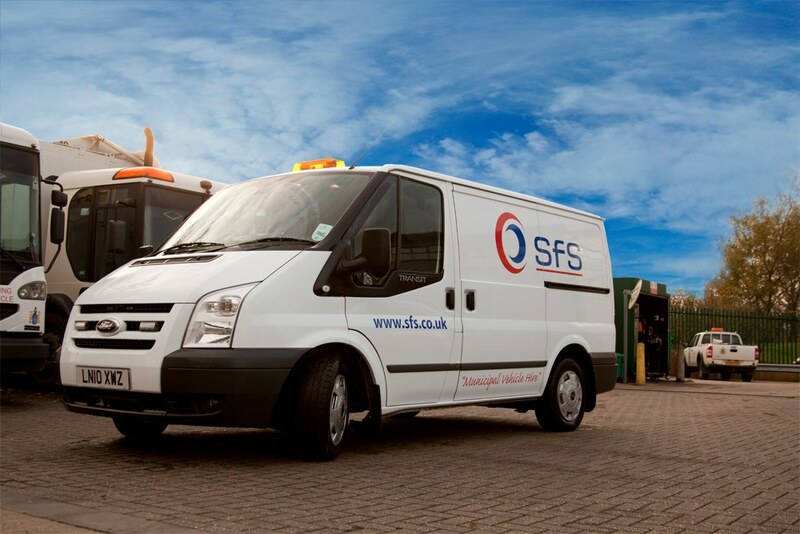 SFS are Exhibiting a refuse vehicle at the show and can be found on Stands 28 & 29.